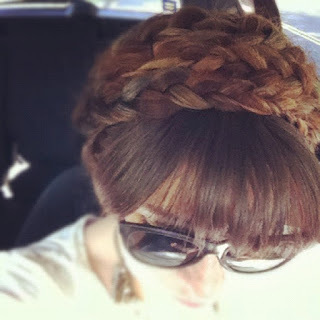 Aren't these braids to die for!? It's not often I'm jealous of long haired ladies, but this! This is envy inducing. Not only are her braids fab, so is she. I highly encourage you to check out the ever lovely Hannah's blog she could be a pharmer in those clothes. She's kinda, just a little, super duper awesome.